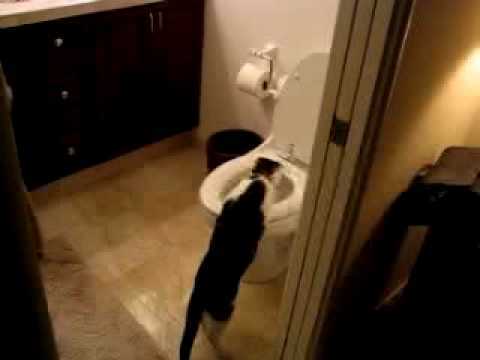 Gizmo the cat’s toilet obsessions explored. Now the owners know why their water bill was a bit high. Gizmo has slowly stopped this fascination ever since the owners kept the bathroom door shut when not in use for its intended purposes.